There are some new HP Pavilion DV6 laptop series in the market which are entirely different from the previous DV6 of 2009/2010. These new ones are the DV6-6000 series and have been found to be sleek, durable and up to date with advanced laptop technology as some of them even come with the new i7 processor. 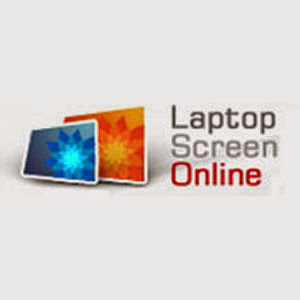 In this Tutorial I will show you how to remove the broken screen of 2011/2012 Hp Pavilion DV6 series laptops. Two ways to carry out the replacement. You can either use the instruction here if your laptop matches the one here or use the one of the Hp G62 replacement instruction. The above listed laptops come with 15.6 inch LED backlight display with 1366 x 768 resolutions. If you have managed to accidentally dropped yours and cracked the screen, use the replacement instruction here to replace that damaged screen. When doing the screen repair it is important to first remove the laptop battery before starting the repair. On the both lower sides of the screen you will find plastic screwcovers. Use a flat screwdriver to remove the covers. Underneath you will find the screws holding the bezel. Remove the screw carefully and keep them aside. By placing your finger between the screen and the plastic bezel, start puling on all sides to release and remove the plastic bezel. At the top part of this area you will fine two screws holding down the hinges arms to the laptop. Unscrew them and keep the screws separate. Pull the screen slightly as in the image on the right and remove the screws on the sides of the hinges arms. Do this on both sides of the laptop. This arm is designed as the main structure holding the screen together. This arms also aids the opening and closing of the laptop after use. Now you can see the screen cable and the connections. The screen we have in the tutorial is LED and comes only with one connector which will be at the bottom left or right depending on you. This connection is held together by a clear tape which you will need to peel off (up) first. Acer Aspire 5750, 5750G, 5750Z laptops are the modern laptops of 2011/2012 and are selling fast in many computer stores due to the advanced technology that comes with the notebooks. The Acer Aspire 5750, 5750G, 5750Z laptop series come solely with 15.6 HD LED LCD widescreen displays (16:9) with resolution of 1366 x 768. In this blog I will show you how to remove and change damaged screen of the Acer Aspire AS5750, AS5750G, AS5750Z laptops safely. For this replacement you will need precision screwdrivers and the laptop screen. Remove the laptop battery from the Acer Aspire 5750 series before starting the screen repair to avoid further damage. On the bottom sides of Acer Aspire 5750, 5750G, 5750Z laptop series you wil find the screw covers made of plastic or rubber . Remove these plastic covers to expose the screws . Remove the screws after taking off the cover. Put your fingers between the screen and the bezel as shown in the picture on the left and start pulling slightly on all the sides until the bezel is pulled free from the laptop. Doing this will cause clicking sounds. This is from the internal catches holding the bezel to the laptop. Acer Aspire 5750, 5750G, 5750Z bezel is very fragile and easy to snap so you must do this with care. Pull carefully but firmly to release it from the notebook. At this point the internal part of the screen area will be visible. Pn the top two sides remove the screw holding down the screen. You will also find three screws on the sides holding the screen tight to the hinges arms. Unscrew them and keep them safe. Place the screen face down after unscrewing and at this point the screen cable, connections and screen part number will be visible. The screen part number will look like B156XW02 V.6, LP156WH4, LTN156AT05, N156B6-L0B and others. Disconnect the screen data connection carefull by first peeling up the clear tape holding it down. The screen removal process is complete. To replace the screen you only need to carry out the instruction in a reverse order.